As I sit in my room no. 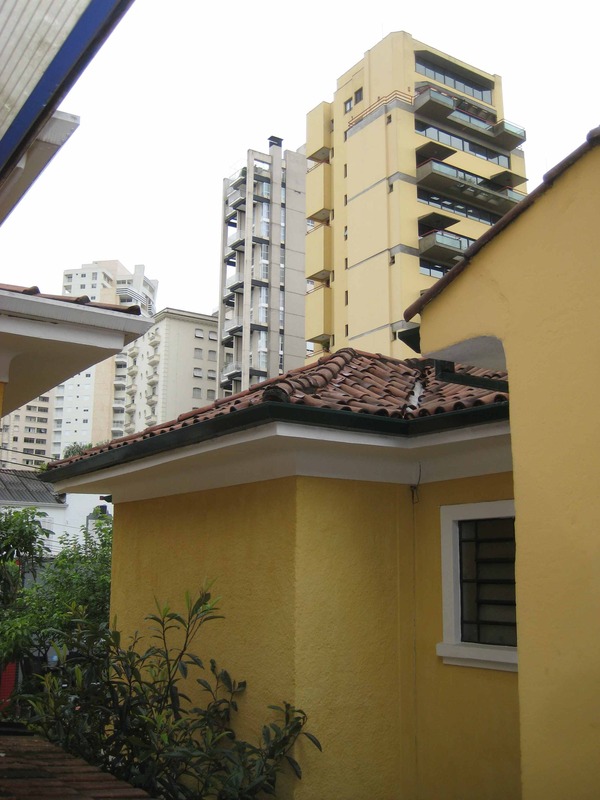 1 of the quaint Pousada Dona Zilah, a family owned and run inn located in the trendy Jardim district of São Paulo; a two story building surrounded by 10 to 15 story apartment blocks. It’s raining and about 17 degrees in the Brazilian high summer (with usually 30+ degrees). Two days ago it rained and six people died (and three are still missing), mostly in favelas, the shanty-towns that were washed away by the storm. In one hour it rained as much as usually in one month. In two days the UN Conference On Climate Change in Copenhagen begins. And I ask myself; what is going on – what is this all about? One week ago, last Saturday November 28th we planted 700 trees, a small beginning of our Replanting a Rainforest project on Fazenda Ambiental Fortaleza, three hours north of here in the vicinity of Mococa. We hope to plant almost 1,000,000 trees on the 300 hectares made available to Replanting a Rainforest at Fazenda Ambiental Fortaleza (other nearby farms have also expressed interest in Replanting a Rainforest). It was a wonderful example of what a few people can do when they put their minds to a common goal. What I am becoming increasingly clear about, however, is that it isn’t about the trees, its about the people, it’s about you and it’s about me. During the past few centuries man has sought answers to a meaningful and fulfilled life outside of him/herself. We have developed technologies and products that greatly increase our capacity to enjoy the fruits our planet provides for free; food, water, air. We have developed, structured and organized ourselves and our lives to a degree that these essential items are no longer free, nor can they be taken for granted. The key word here is “we”. It’s about me, about you and me. We are the problem. I am the problem. The solution is not “out there”, the solution, if there is one, is “in here”, in me. I am the one who has to change, and I have to begin with me, myself, and I. As the effects of Climate Change become evermore evident and unquestionable, we seek feverishly to find bigger, better, faster ways of combating the changes in nature, truly believing that we can control the environment. Let’s get over ourselves! Let’s start listening to ourselves, and observing Nature. The solutions are there, right in front of our eyes (or behind them), when we Stop, Reflect & Listen, to Nature. Out of respect for my new found friends and hosts, I won’t say where I have been these last few days. I have been asked not to. Suffice to say I was in the mountains, in the Atlantic Rainforest, or at least in some of the spectacular remnants thereof. It was a long drive in a 4 x 4 vehicle that took us more than two hours from the nearest village. I saw trees that made my hair stand on end and bathed in waterfalls sprouting from the tops of mountains, cascading down and hitting my body so hard I screamed, but nobody heard, the roar was too loud. What have we done to alienate ourselves to such a degree? 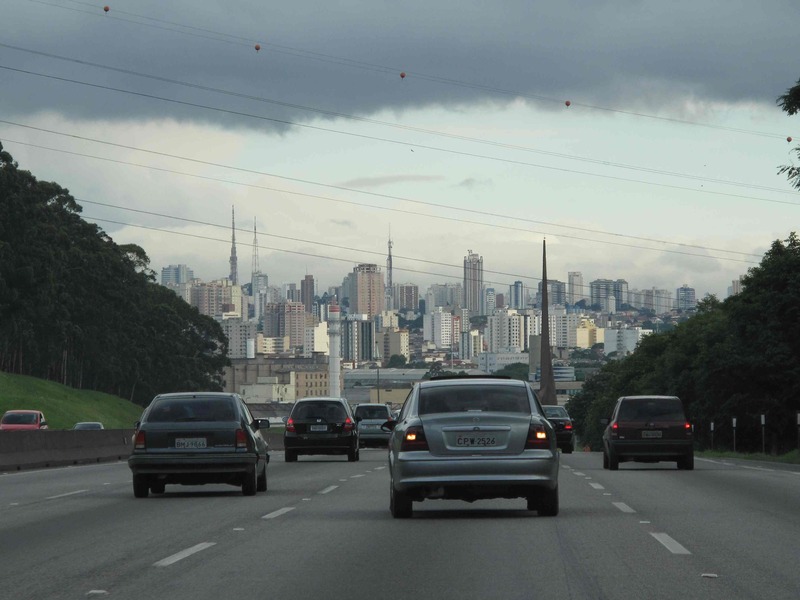 Returning to São Paulo after an eight hour bus ride was also overwhelming, in a different sort of way. 300 kilometers of congested traffic was announced on the radio; the city is on the verge of collapse, kept moving by the sheer willpower of people refusing to see the nightmare we, the collective society has created. I really don’t know what I should do, except keep planting trees, lots of trees, and invite people to participate in our work. I hope that I can do it in a sufficiently humble way as not to further aggravate or increase the stress of people in our society who seemingly no longer “see the forest for the trees” – who no longer seem capable of looking within to solve the problems “without”. Because, really, that’s what it IS about; about doing without. There is only one thing we need to do, and that is do less; less consuming, less shopping, less impact on our fragile ecosystem. This entry was posted in Awareness, Brazil, COP 15, Replanting a Rainforest, Stop, Reflect & Listen . . .. Bookmark the permalink.